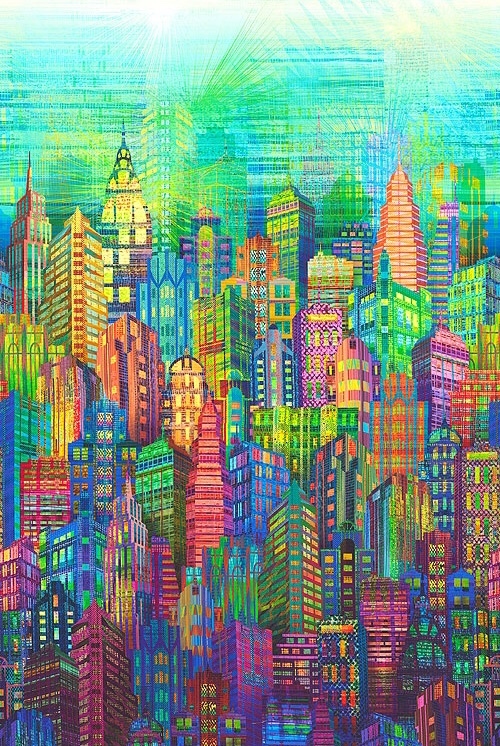 When we saw the pictures of Kathy Plumley’s “Urban Oasis” One-Block Wonder, we fell in love with the colors, quilting and creative design choices. 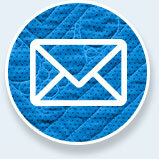 We decided to give Kathy a call to learn more about the quilt and her process of creating it. 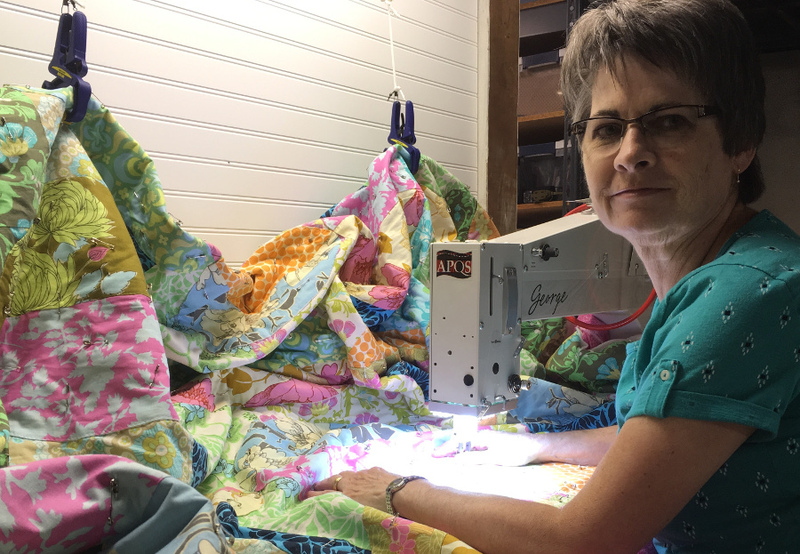 Kathy lives in Wellsboro, Pennsylvania and quilts on an APQS George machine that she bought just about a year ago. I started quilting in the early 1980s after having watched lots of TV programs about it. My professional background is engineering drafting, and I found that quilting was a way for me to incorporate what I did on the drafting board with fabric on the sewing machine. There’s a lot of math that’s involved in laying out patterns, so there were a lot of similarities to what I was doing at work. 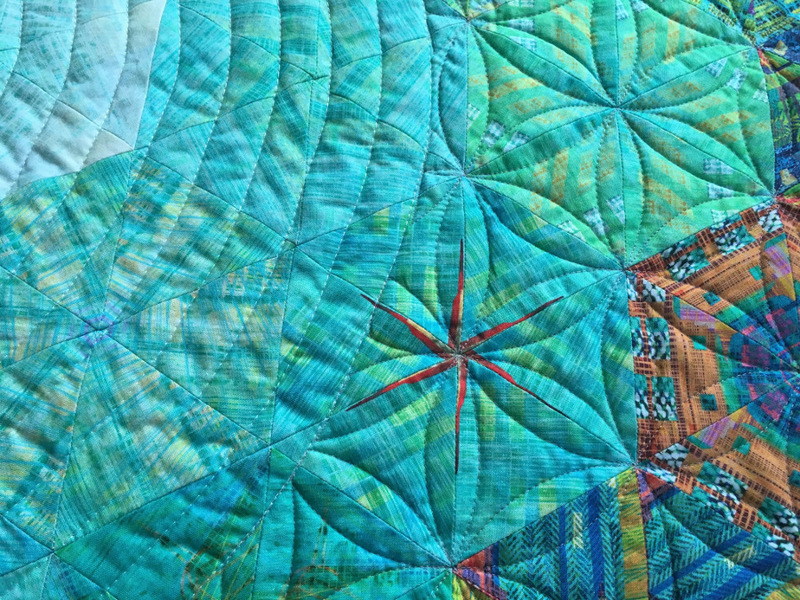 How did you make the transition to longarm machine quilting? I had always done my quilting myself on a sit-down sewing machine, but I was constantly struggling with handling the bulk of the quilt and dealing with skipped stitches and thread breaks. I kept dreaming of a longarm quilting machine, but I didn’t have room in my home to accommodate one. 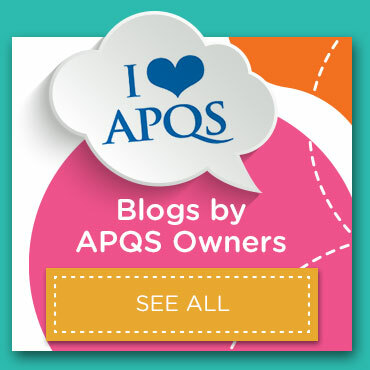 One day I went to an APQS Road Show, and that’s where I discovered George. As a sit-down quilting machine, George was perfect for me. I love it! How has George changed the way you quilt? It’s done so much for me. The minute I sat down and tried the machine at the Road Show I realized it was a totally different ball game than a sewing machine. There is so much more space and power. With my sewing machine I had so many mechanical issues that were holding me back – and that is not fun. George has made quilting so much more fun for me. I had never done a One-Block Wonder quilt and didn’t even know what it was. I stumbled across Bruce Seed’s work and was blown away. I started doing a ton of online research about One-Block Wonder quilts, watching YouTube videos and reading articles. I decided to make one and ended up using an online app called “Design Helper” to find the perfect fabric. 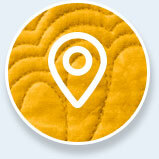 The app lets you preview what the quilt could look like. I started previewing what every single fabric would look like – I spent hours doing that. As I began cutting the fabric and putting the hexagons on the design board, I ended up with all the light colors in one spot and realized that it started to look like a gazing pool. From there I built out the colors from the center. That’s the magic of the One-Block Wonder – it’s not until you make the hexagons that things start to take shape. What type of quilting did you choose for the quilt? I immediately knew that I wanted to do spiral quilting for the center “pool.” I think it really accentuates the “pool” concept. From there I transitioned into continuous curves and eventually straight lines in the border. 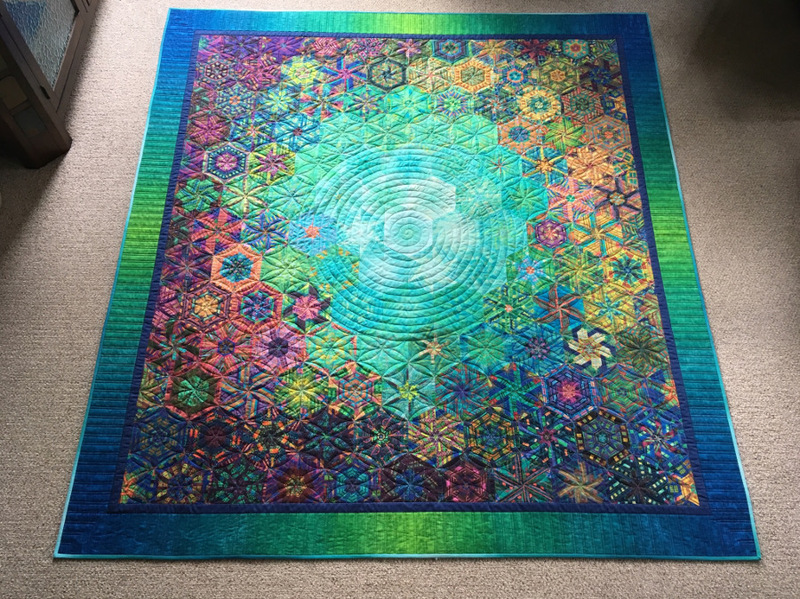 Are there more One-Block Wonder quilts in your future? The quilt is going to hang in the Mountain Laurel Quilt Guild show later this year, and I’m going to do a little demo for visitors during the event. So, there will be at least one more…but I’m not the type of quilter who does the same thing over and over again. I like to try new things. 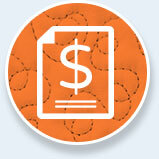 What advice do you have for quilters who may be considering a sit down quilting machine? Don’t be afraid to make the leap – it’s been a god send for me. It has made me enjoy my hobby so much more. This border and corner design is perfect for quilters who are new to longarm quilting and are looking for a custom quilting design. 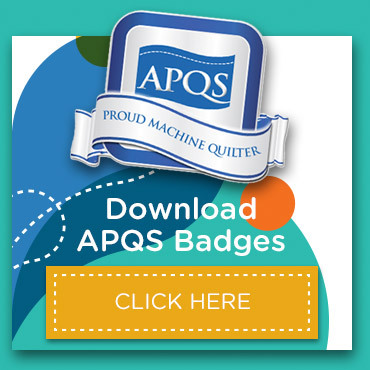 Some of the top quilting artists in the world have chosen APQS as their longarm machine of choice. We talked to some of the famous faces in the quilting world to see what drew them to quilting and to APQS longarm quilting machines.